Kolkata , formerly Calcutta , is the capital of the Indian state of West Bengal. Located on the east bank of the Hooghly river, it is the principal commercial, cultural, and educational centre of East India, while the Port of Kolkata is Indias oldest operating port as well as its sole major riverine port. As of 2011, the city had 4.5 million residents; the urban agglomeration, which comprises the city and its suburbs, was home to approximately 14.1 million, making it the third-most populous metropolitan area in India. As of 2008, its gross domestic product (adjusted for purchasing power parity) was estimated to be US$104 billion, which would be third highest among Indian cities, behind Mumbai and Delhi. As a growing metropolitan city in a developing country, Kolkata confronts substantial urban pollution, traffic congestion, poverty, overpopulation, and other logistic and socioeconomic problems. During British rule, Kolkata was the most important city in India. The Royal Calcutta Golf Club is the first golf club ever, outside the United Kingdom. Calcutta is one of the few cities in the world, to have Trams. As a nucleus of the 19th- and early 20th-century Bengal Renaissance and a religiously and ethnically diverse centre of culture in Bengal and India, Kolkata has established local traditions in drama, art, film, theatre, and literature that have gained wide audiences. Many people from Kolkata—among them several Nobel laureates—have contributed to the arts, the sciences, and other areas, while Kolkata culture features idiosyncrasies that include distinctively close-knit neighbourhoods (paras) and freestyle intellectual exchanges (adda). West Bengals share of the Bengali film industry is based in the city, which also hosts venerable cultural institutions of national importance, such as the Academy of Fine Arts, the Victoria Memorial, the Asiatic Society, the Indian Museum and the National Library of India. Among professional scientific institutions, Kolkata hosts the Agri Horticultural Society of India, the Geological Survey of India, the Botanical Survey of India, the Calcutta Mathematical Society, the Indian Science Congress Association, the Zoological Survey of India, the Institution of Engineers, the Anthropological Survey of India and the Indian Public Health Association. Though home to major cricketing venues and franchises, Kolkata differs from other Indian cities by giving importance to association football and other sports. The discovery and archaeological study of Chandraketugarh, 35 kilometres (22 mi) north of Kolkata, provide evidence that the region in which the city stands has been inhabited for over two millennia. Kolkatas recorded history began in 1690 with the arrival of the English East India Company, which was consolidating its trade business in Bengal. Job Charnock, an administrator who worked for the Company, is traditionally credited as the founder of the city; in response to a public petition, the Calcutta High Court ruled in 2003 that the city does not have a founder. The area occupied by the present-day city encompassed three villages: Kalikata, Gobindapur, and Sutanuti. Kalikata was a fishing village; Sutanuti was a riverside weavers village. They were part of an estate belonging to the Mughal emperor; the jagirdari (a land grant bestowed by a king on his noblemen) taxation rights to the villages were held by the Sabarna Roy Choudhury family of landowners, or zamindars. These rights were transferred to the East India Company in 1698. In 1712, the British completed the construction of Fort William, located on the east bank of the Hooghly River to protect their trading factory. Facing frequent skirmishes with French forces, the British began to upgrade their fortifications in 1756. The Nawab of Bengal, Siraj ud-Daulah, condemned the militarization and tax evasion by the company. His warning went unheeded, and the Nawab attacked; he captured Fort William which led to the killings of several East India company officials in the Black Hole of Calcutta. A force of Company soldiers (sepoys) and British troops led by Robert Clive recaptured the city the following year. Per the 1765 Treaty of Allahabad following the battle of Buxar, East India company was appointed imperial tax collector of the Mughal emperor in the province of Bengal, Bihar and Orissa, while Mughal-appointed Nawabs continued to rule the province. Declared a presidency city, Calcutta became the headquarters of the East India Company by 1772. In 1793, ruling power of the Nawabs were abolished and East India company took complete control of the city and the province. Beginning in 1864, the hill station of Shimla served as administrative capital during summers. In the early 19th century, the marshes surrounding the city were drained; the government area was laid out along the banks of the Hooghly River. Richard Wellesley, Governor-General of East India company held territories between 1797 and 1805, was largely responsible for the development of the city and its public architecture. 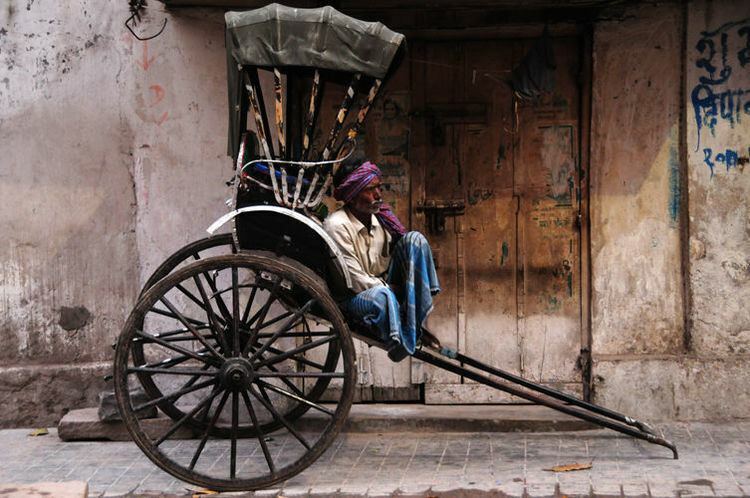 Throughout the late 18th and 19th century, the city was a centre of the East India Companys opium trade. During the 1960s and 1970s, severe power shortages, strikes, and a violent Marxist–Maoist movement by groups known as the Naxalites damaged much of the citys infrastructure, resulting in economic stagnation. The Bangladesh Liberation War of 1971 led to a massive influx of thousands of refugees, many of them penniless, that strained Kolkatas infrastructure. During the mid-1980s, Mumbai (then called Bombay) overtook Kolkata as Indias most populous city. In 1985, Rajiv Gandhi dubbed Kolkata a "dying city" in light of its socio-political woes. After independence in the year of 1951 and 1956 the Corporation act was amended. Lastly in 1980 West Bengal Government amended this act. In 1984 a revised new law was effected. In the period 1977–2011, West Bengal was governed from Kolkata by the Left Front, which was dominated by the Communist Party of India (CPM). It was the worlds longest-serving democratically elected communist government; Kolkata was a key base for Indian communism. The citys economic recovery gathered momentum after the 1990s, when India began to institute pro-market reforms. Since 2000, the information technology (IT) services sector has revitalised Kolkatas stagnant economy. The city is also experiencing marked growth in its manufacturing base. Spread roughly north–south along the east bank of the Hooghly River, Kolkata sits within the lower Ganges Delta of eastern India; the citys elevation is 1.5–9 m (5–30 ft). Much of the city was originally a wetland that was reclaimed over the decades to accommodate a burgeoning population. The remaining undeveloped areas, known as the East Kolkata Wetlands, were designated a "wetland of international importance" by the Ramsar Convention (1975). As with most of the Indo-Gangetic Plain, the soil and water are predominantly alluvial in origin. Kolkata is located over the "Bengal basin", a pericratonic tertiary basin. Bengal basin comprises three structural unit: shelf or platform in the west; central hinge or shelf/slope break; and deep basinal part in the east and southeast. Kolkata is located atop the western part of the hinge zone which is about 25 km (16 mi) wide at a depth of about 45,000 m (148,000 ft) below the surface. The shelf and hinge zones have many faults, among them some are active. Total thickness of sediment below Kolkata is nearly 7,500 m (24,600 ft) above the crystalline basement; of these the top 350–450 m (1,150–1,480 ft) is quaternary, followed by 4,500–5,500 m (14,760–18,040 ft) of tertiary sediments, 500–700 m (1,640–2,300 ft) trap wash of cretaceous trap and 600–800 m (1,970–2,620 ft) permian-carboniferous Gondwana rocks. The quaternary sediments consist of clay, silt, and several grades of sand and gravel. These sediments are sandwiched between two clay beds: the lower one at a depth of 250–650 m (820–2,130 ft); the upper one 10–40 m (30–130 ft) in thickness. According to the Bureau of Indian Standards, on a scale ranging from I to V in order of increasing susceptibility to earthquakes, the city lies inside seismic zone III; according to a United Nations Development Programme report, its wind and cyclone zone is "very high damage risk". Kolkata is the main commercial and financial hub of East and North-East India and home to the Calcutta Stock Exchange. It is a major commercial and military port, and is the only city in eastern India to have an international airport. 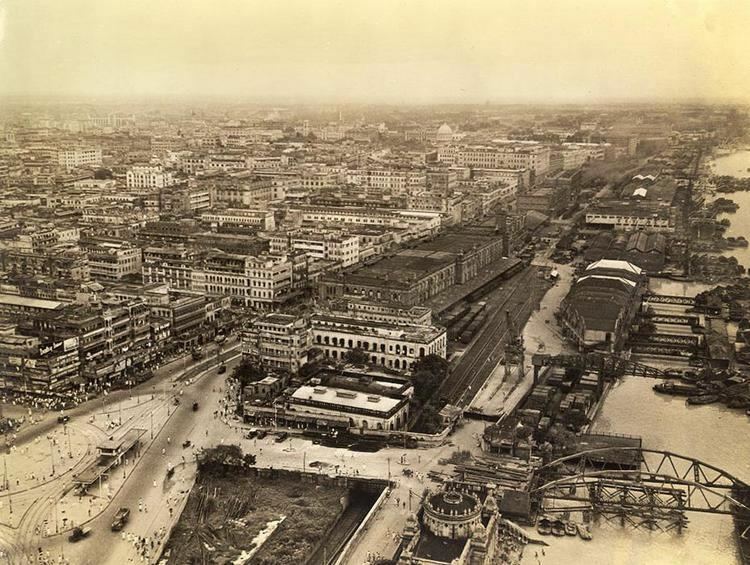 Once Indias leading city, Kolkata experienced a steady economic decline in the decades following Indias independence due to steep population increases and a rise in militant trade-unionism, which included frequent strikes that were backed by left-wing parties. From the 1960s to the late 1990s, several factories were closed and businesses relocated. The lack of capital and resources added to the depressed state of the citys economy and gave rise to an unwelcome sobriquet: the "dying city". The citys fortunes improved after the Indian economy was liberalised in the 1990s and changes in economic policy were enacted by the West Bengal state government. Kolkata has many buildings adorned with Indo-Islamic and Indo-Saracenic architectural motifs. Several well-maintained major buildings from the colonial period have been declared "heritage structures"; others are in various stages of decay. Established in 1814 as the nations oldest museum, the Indian Museum houses large collections that showcase Indian natural history and Indian art. Marble Palace is a classic example of a European mansion that was built in the city. The Victoria Memorial, a place of interest in Kolkata, has a museum documenting the citys history. The National Library of India is the leading public library in the country while Science City is the largest science centre in the Indian subcontinent. The popularity of commercial theatres in the city has declined since the 1980s. Group theatres of Kolkata, a cultural movement that started in the 1940s contrasting with the then-popular commercial theatres, are theatres that are not professional or commercial, and are centres of various experiments in theme, content, and production; group theatres use the proscenium stage to highlight socially relevant messages. Chitpur locality of the city houses multiple production companies of jatra, a tradition of folk drama popular in rural Bengal. 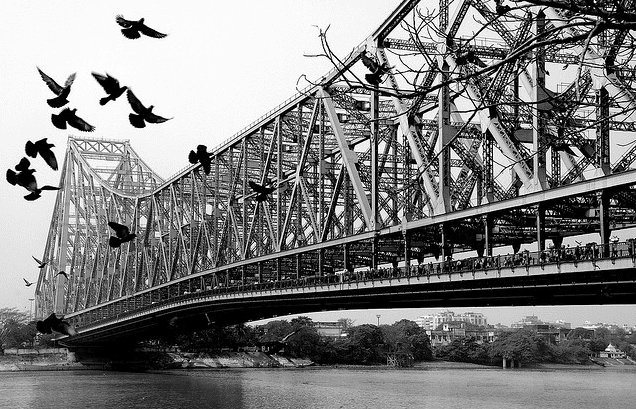 Kolkata is the home of the Bengali cinema industry, dubbed "Tollywood" for Tollygunj, where most of the states film studios are located. Its long tradition of art films includes globally acclaimed film directors such as Academy Award-winning director Satyajit Ray, Ritwik Ghatak, Mrinal Sen, Tapan Sinha, and contemporary directors such as Aparna Sen, Buddhadeb Dasgupta, and Rituparno Ghosh. Kalighat painting originated in 19th century Kolkata as a local style that reflected a variety of themes including mythology and quotidian life. The Government College of Art and Craft, founded in 1864, has been the cradle as well as workplace of eminent artists including Abanindranath Tagore, Jamini Roy, and Nandalal Bose. The art college was the birthplace of the Bengal school of art that arose as an avant garde and nationalist movement reacting against the prevalent academic art styles in the early 20th century. The Academy of Fine Arts and other art galleries hold regular art exhibitions. The city is recognised for its appreciation of rabindrasangeet (songs written by Rabindranath Tagore) and Indian classical music, with important concerts and recitals, such as Dover Lane Music Conference, being held throughout the year; Bengali popular music, including baul folk ballads, kirtans, and Gajan festival music; and modern music, including Bengali-language adhunik songs. Since the early 1990s, new genres have emerged, including one comprising alternative folk–rock Bengali bands. Another new style, jibonmukhi gaan ("songs about life"), is based on realism. Key elements of Kolkatas cuisine include rice and a fish curry known as machher jhol, which can be accompanied by desserts such as roshogolla, sandesh, and a sweet yoghurt known as mishti dohi. Bengals large repertoire of seafood dishes includes various preparations of ilish, a fish that is a favourite among Calcuttans. Street foods such as beguni (fried battered eggplant slices), kati roll (flatbread roll with vegetable or chicken, mutton, or egg stuffing), phuchka (a deep-fried crepe with tamarind sauce) and Indian Chinese cuisine from Chinatown are popular. Sweets play a large part in the diet of Kolkatans—especially at their social ceremonies. Though Bengali women traditionally wear the sari, the shalwar kameez and Western attire is gaining acceptance among younger women. Western-style dress has greater acceptance among men, although the traditional dhoti and kurta are seen during festivals. Durga Puja, held in September–October, is Kolkatas most important festival; it is an occasion for glamorous celebrations. The Bengali New Year, known as Poila Boishak, as well as the harvest festival of Poush Parbon are among the citys other festivals; also celebrated are Jagaddhatri Puja, Diwali, Saraswati Puja, Eid, Holi, Christmas, and Rath Yatra. Cultural events include the Kolkata Book Fair, the Dover Lane Music Festival, the Kolkata Film Festival, Nandikars National Theatre Festival and the Statesman Vintage & Classic Car Rally.